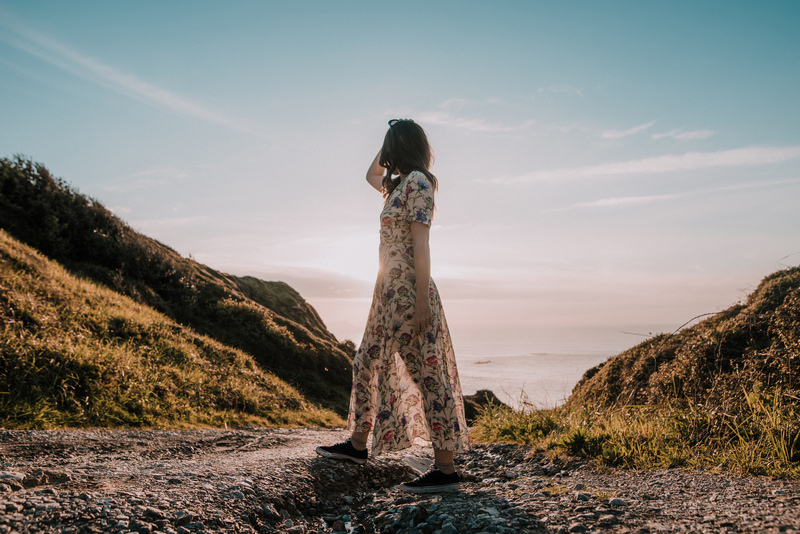 We can think of many a pastime more exciting than packing, but like gold at the end of a rainbow, we know the task ends with a vacation well worth the headache. Save yourself unneeded stress at the airport, hotel, and home with these Amazon-approved travel accessories. 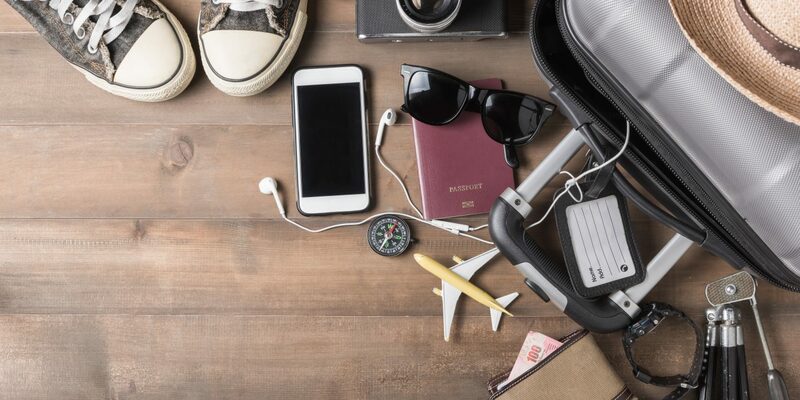 From compression packing cubes and spill-proof cosmetics cases to portable luggage scales and electronics organizers, these smart packing products are guaranteed to overhaul your process. If you’re one to pack everything but the kitchen sink for a simple overnight trip or weekend-long getaway, then you’re going to want to have some packing cubes on hand. This 5-piece set includes a varied assortment of nylon cubes ideal for storing everything from jeans and tees to undergarments and shoes. While you can easily find a cutesy, much cheaper set, Gonex delivers one unrivaled feature: compression. 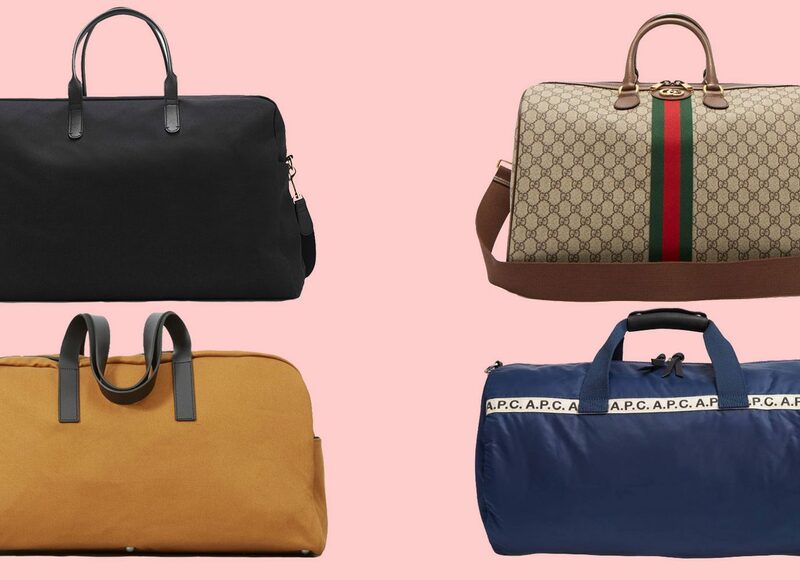 All packing cubes help organize suitcases, but these ventilated bags — which are waterproof, tear-resistant, and dirt-resistant — are designed with a second zipper which, once secured, eliminates space, so you can pack even the most unnecessary of items — like the stilettos you bought last year and still haven’t worn but will most definitely bust out on your Hamptons beach escape. Listen — we love a good chunky pair of headphones (see: Bose QuietComfort 35s, Master & Dynamic MH40S2s, and Bang & Olufsen PLAYs), but when it comes to traveling light, wireless earbuds are our best friend. 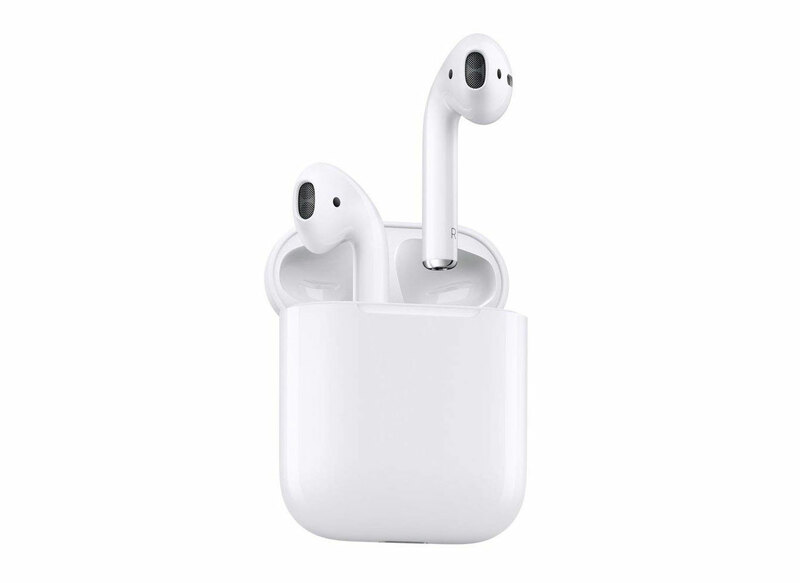 Of course, Apple’s AirPods are one of the most popular options on the market — and like the rest of the Apple suite, that’s for good reason. The pocket-size headphones — which can simultaneously connect to your iPhone, iPad, and MacBook — provide 5 hours of uninterrupted playtime, and if that isn’t enough, you can simply pop them in their charging case for 15 minutes and they’ll gain an additional 3 hours. That means en-route to your destination you can blast your favorite throwback tunes (ABBA, anyone?) or listen to enough true crime podcasts to think you’re a detective now. With passports, tickets, credit cards, foreign currency, hotel keys, and rogue coins to keep track of on vacation, a multipurpose wallet is a must. This minimalist RFID-blocking clutch offers ample room for all that and a smartphone. 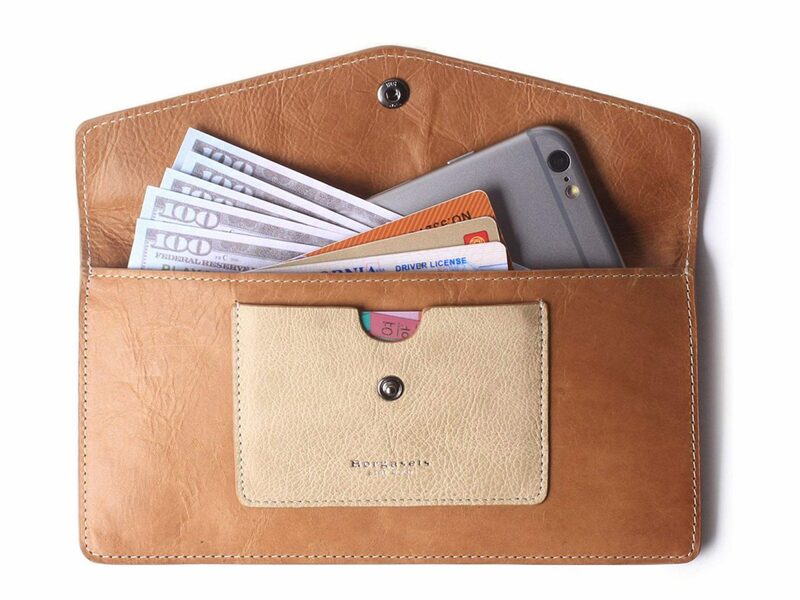 The slim silhouette is constructed from cowhide leather and comes in a variety of colors — brown, black, apricot, and rose among them — so you can easily match it to your carry-on. 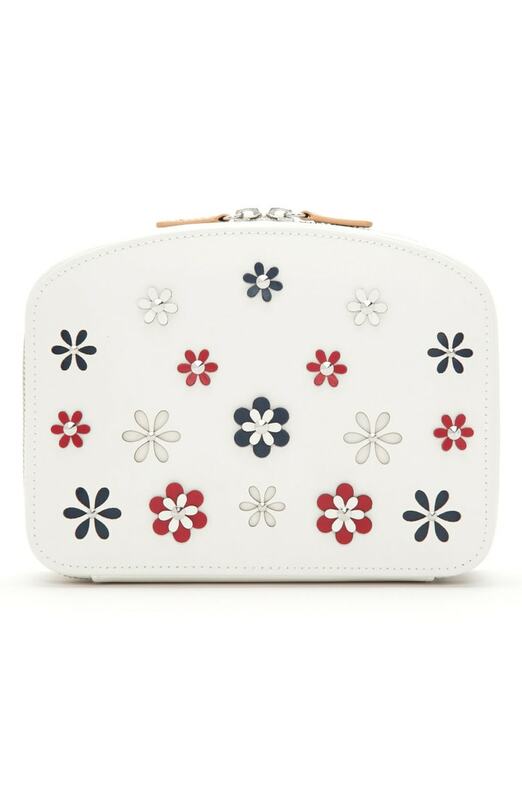 Come on, give yourself an excuse to buy another wallet, you know you want to. Lightning cables and portable power banks are some of the first things to be left behind on airplanes and in taxis. Rather than risking it, pack your USB cords safely away in your carry-on and juice your phone up with a charging case (cause let’s be real — we know you’d sooner leave behind your first-born than your iPhone). 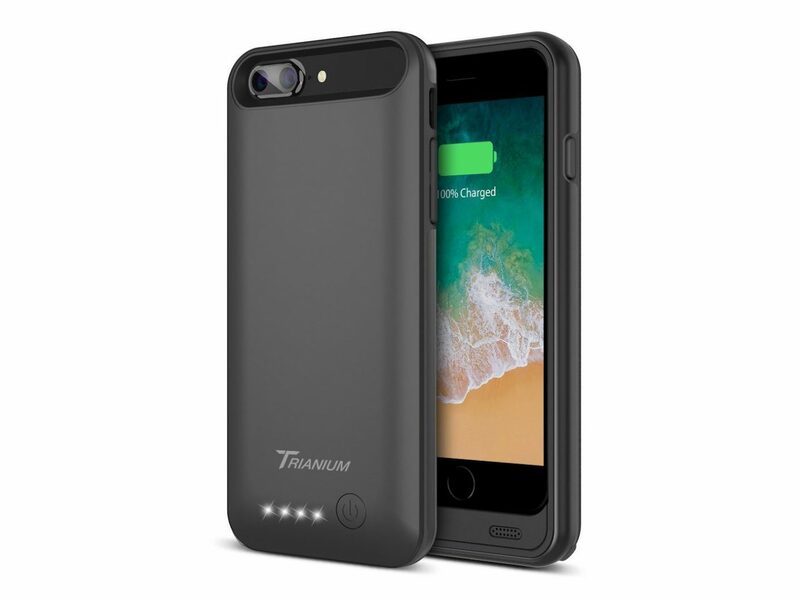 This Apple-certified case from Trianium uses a built-in 4200mAh battery to add 24 hours of talk time and 12 hours of web time to your dead or dying smartphone. When it comes to calmly disentangling a mess of necklaces, our track record is about as good as when we try to complete a Rubik’s Cube behind our back. 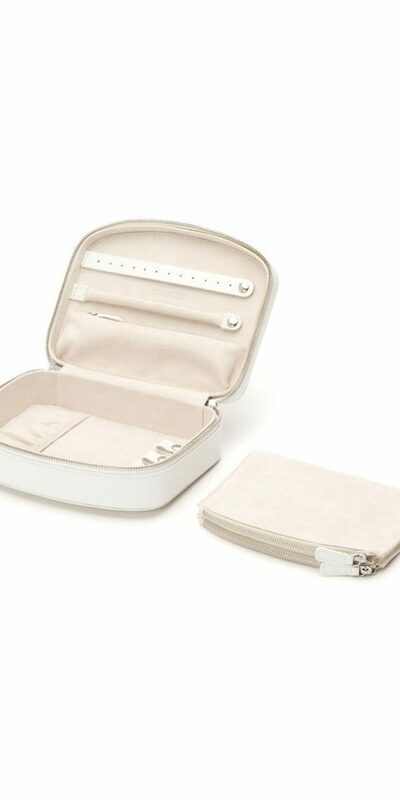 Rather than deal with the painstaking task of unknotting your favorite accessories, get yourself a travel jewelry case like this floral embellished organizer from Wolf. 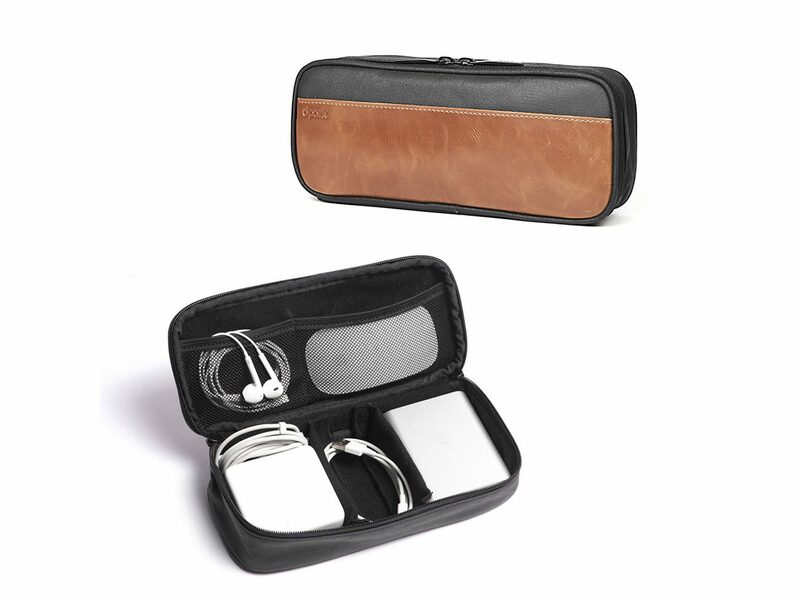 The slim leather case can accommodate four necklaces, six pairs of earrings, a whole lot of rings, and more thanks to interior zip pockets, so you won’t have to test your patience after an already-taxing flight. There are far better things we could spend $5 on than a bottle of Dasani at the airport. 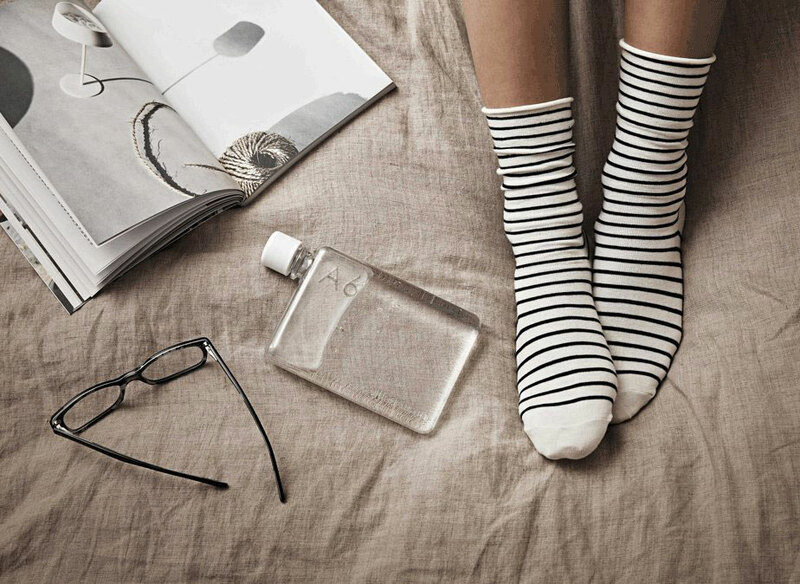 Rather than throw money away on one-use water bottles, invest in a reusable, travel-friendly option like this innovative rectangular bottle from Memobottle. 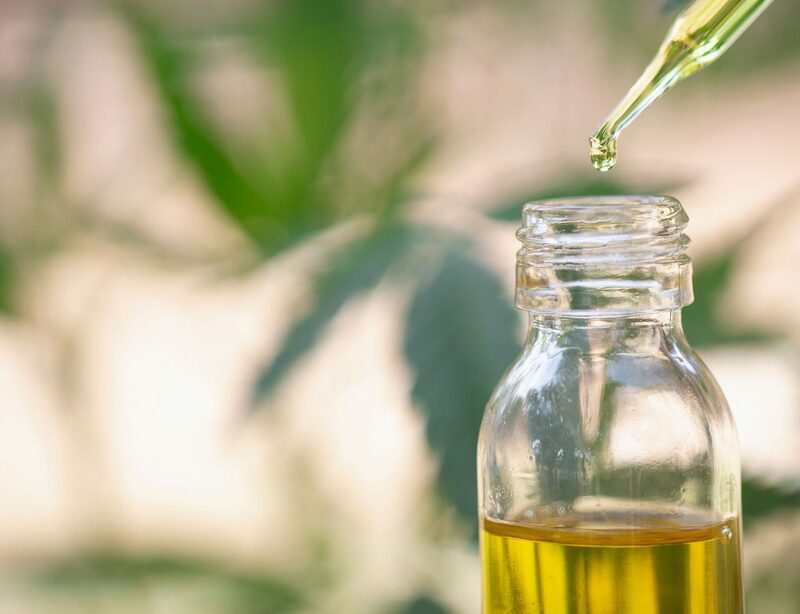 The sleek silhouette easily slides into tight spaces — like overflowing carry-ons and bout-to-bust backpacks — where a conventional bottle couldn’t. PS: The reinvented bottles come with some Hollywood cred; they were included in Oscars goodie bags in 2016. 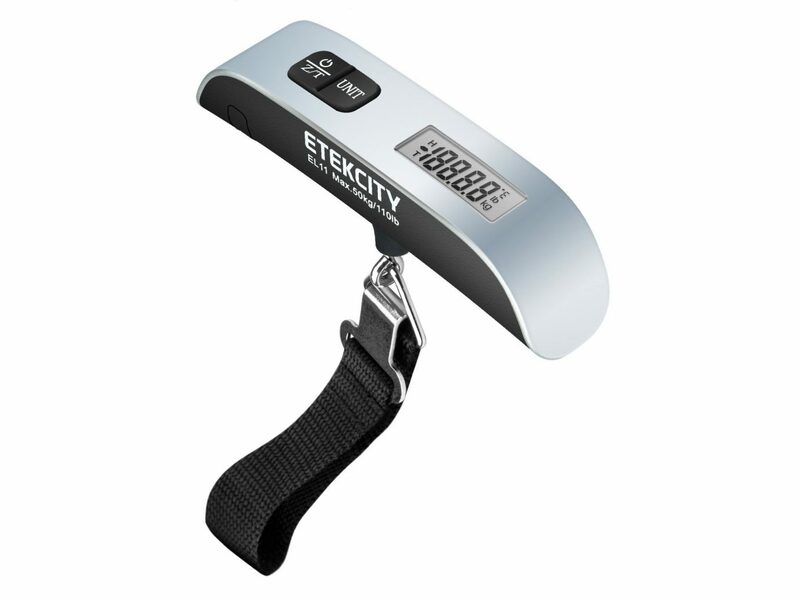 Rather than drop an additional $50 on an overweight luggage fee or rip through your belongings like a madman in an effort to reallocate weight between your carry-on and checked bag, do yourself a favor and buy a portable luggage scale. This hanging scale delivers high-accuracy readings on bags up to 110 pounds in weight, so you can save time and money when it comes to airport check ins. If you’ve ever stepped foot in a Sephora, you know makeup costs way too much to have it be exploding in your suitcase during trans-continental travel. Keep your brushes, setting powders, liquid foundations, eye shadow palettes, and more secure with this waterproof, shake-proof, spill-proof cosmetic carrying case from ROWNYEON. Separate compartments ensure nothing shifts too much during your commute. If you’re schlepping multiple suitcases — or golf bags, camera equipment, strollers, or booster seats — through the airport, you’re going to want a few of these guys. 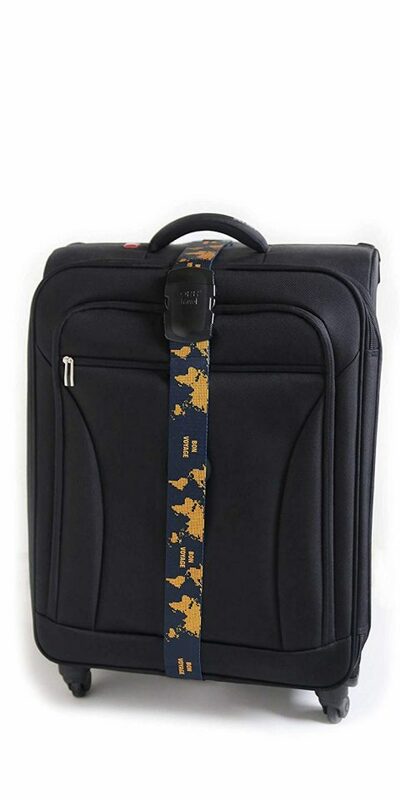 The adjustable 70-inch strap can secure just about anything together, so you can breeze through every stage of airport travel without feeling like a bag lady. 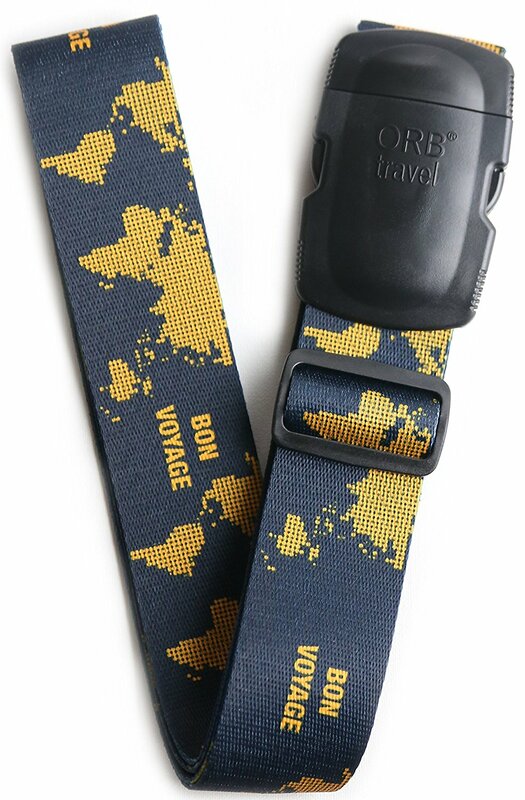 The patterned straps (there are 20+ to choose from) are also great for identifying your suitcase from near carbon copies at baggage claim. Rather than going on a fruitless deep-dive through your carry-on in an attempt to find your iPhone charger, why not just stow it some place you’re sure to find it? 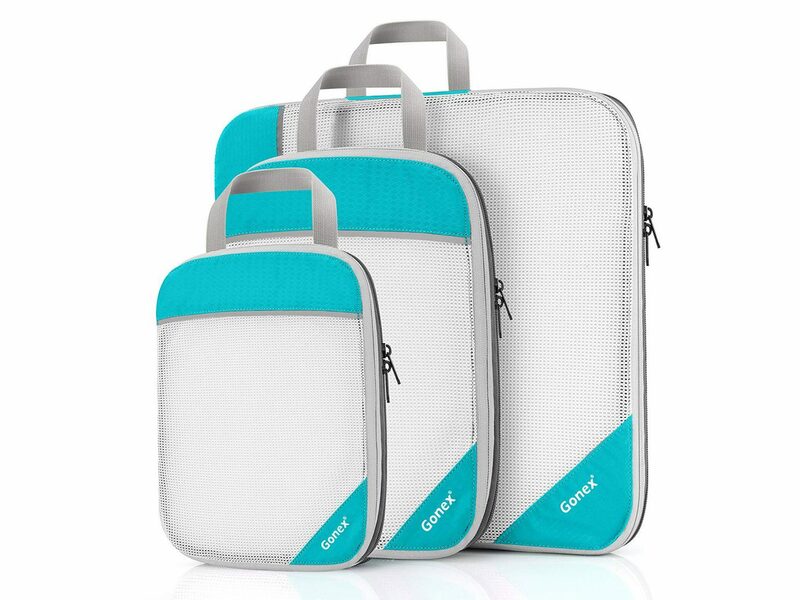 This waterproof, travel-friendly carrying case has multiple slots ideal for earbuds, MacBook chargers, wireless mice, and portable power banks. Functionality also meets style as the aesthetically-pleasing, slim silhouette is designed with faux leather and canvas. Headed to the beach, lake, or just somewhere with a pool or a jacuzzi next vacation? 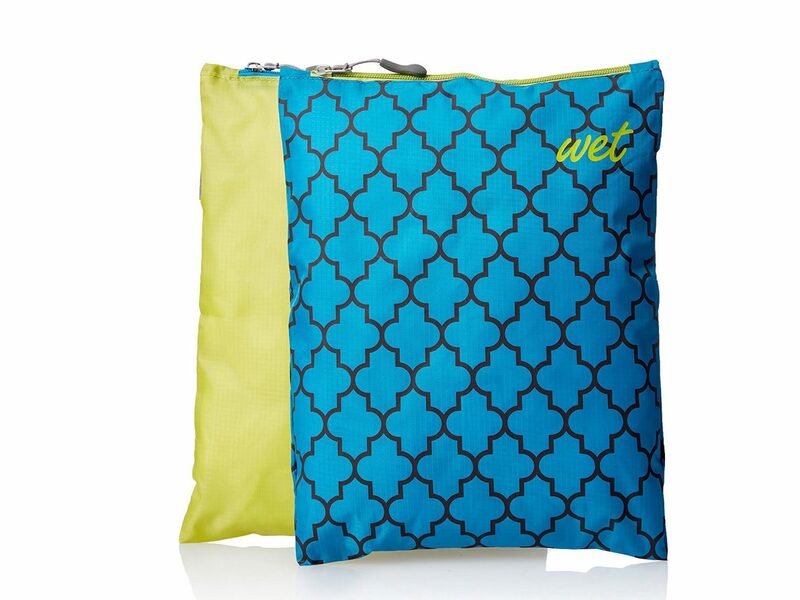 Keep your bathing suit from soaking your dry stuff with a waterproof bag like this one from Travelon. The pouch is quite compact, so you won’t have any trouble slipping it into a tote or backpack.